A dead pig lolls among the flotsam on South Tarawa beach. No children play in the water – unusual in the Pacific islands, where a childhood spent splashing in the ocean is an age-old rite. In Kiribati’s capital, years of poor waste disposal coupled with overpopulation and a limited supply of water have polluted the lagoon, making it too dirty to swim in. Over 50,000 people crowd into 2,500 acres, a population density twice as high as that of New York. Although the Pacific islands are well-known as the first casualties of climate change, a tale less often told is of the environmental and energy crisis at home. Years of mismanagement and poor policy have led to ecological and energy calamities across the region. Until this year no Pacific island country had an official trade policy. Few have national energy strategies. In many countries a lack of planning meant that the default policy was to exploit natural resources at an unsustainable rate. In the Solomon Islands, natural forests have been logged so uncontrollably that exports are expected to cease by around 2015. Local communities have long relied on logging as their only source of income and it has been one of only a handful of viable exports since independence. Mining has a particularly bad record in the Pacific. A watershed moment came in 1999 when BHP, the former owner of the Ok Tedi gold and copper mine in Papua New Guinea, admitted that the mine caused “major environmental damage”. Up to 80m tonnes of contaminated waste were discharged into the river each year, displacing 50,000 people downstream and killing or poisoning fish as well as damaging staple crops. In September, the government said it would nationalise Ok Tedi to force BHP to pay more compensation. Government policy makers, not just in departments of environment or energy but also in the bigger departments like finance and trade, are only just beginning to acknowledge these domestic crises, realising that if they’re asking the rest of the world to cut carbon emissions, then they should be tackling problems within their own borders. The key to this new realisation must be an improvement in governance. The word has come to be associated with corruption, and this undoubtedly needs to be tackled. But governance also needs to be understood more broadly – as the ability of local people to control and shape their economies and environments. The already tiny governments of the Pacific islands have long been told that good economics means shrinking the state and lowering public expenditure. But this has diminished the ability of these countries to manage public affairs, depriving them of the resources to limit the exploitation of natural habitats, to manage waste or to build efficient energy infrastructures. Some international agencies have been complicit in this anti-state message, encouraging the idea that market forces will generate economic prosperity and that the private sector will look after the environment. The Asian Development Bank, for example, conducted structural adjustment programmes across the region in the late 1990s that led to swinging public-sector cuts, trade liberalisation and privatisation. 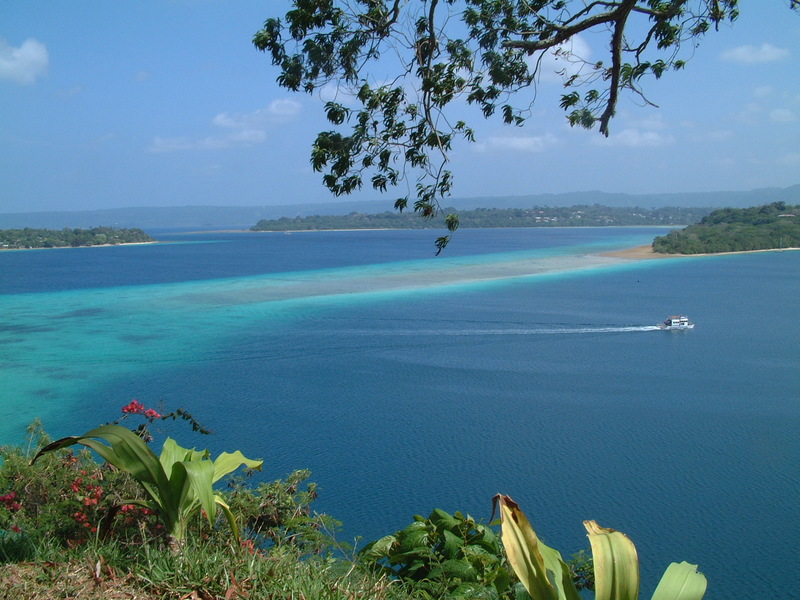 Vanuatu was typical: the programme caused a recession, increased public debt and crippled the government’s ability to perform everyday functions including environmental protection. Donors need to acknowledge that ecological management requires a strong state, and that governments need to be allowed to learn from their mistakes. Aid has often encouraged dependency, with policymakers often deferring to donors instead of making their own decisions. Pacific islanders are per capita the highest recipients of aid in the world, at $469 in 2011 according to the World Bank, over 20 times the world average. Donors have often failed to stump up promised funds, breeding uncertainty. The last time I was in Tuvalu, in late 2010, the then prime minister told me that he didn’t soon expect to access the $100m promised to poor countries for national adaptation plans at the UN climate summit the previous month in Cancún. Critical though the global warming agenda is, it has also encouraged the perception that environment equals climate change, when domestic challenges are equally if not more important. Strapped for cash, policymakers aren’t in a good position to easily manage their own energy or environmental policies. In Vanuatu the lack of an energy policy means that French monopoly Suez Unelco still has 40 years left on its concession agreement. Energy prices remain among the highest in the world and the country continues to rely heavily on imported diesel (although some coconut oil is used as fuel instead of exported). Suez Unelco has indicated that it may refuse to act as supplier-of-last-resort to any company generating its own wind or solar power. Yet despite their mixed records, foreign companies and international agencies are beginning to wake up to the regional crisis in the making – and given the meagre resources of Pacific states, the international community must play a critical role. Regional organisations like the Secretariat of the Regional Environment Programme, based in Samoa, have begun turning their attention to improved energy efficiency. The World Bank increasingly emphasises the importance of good governance in mining and energy usage, and the message is spreading in the region, supported by a host of international organisations. The International Council on Mining and Metals, an industry group comprising of 21 major mining and metals companies as well as 35 national and regional mining associations, aims to encourage due diligence on social and environmental issues. Work includes social and economic development, environment and climate change, health and safety and recycling. The Framework for Responsible Mining is a joint initiative of NGOs, retailers, investors, insurers, and technical experts working in the minerals sector outlining environmental, human rights, and social issues associated with mining. The framework recommends no-go zones for mining; develops criteria for environmentally responsible mining; tries to ensure that mines benefit affected communities; and puts in place principles of good governance. Earthworks is a US-based non-profit organisation which aims to protect communities and the environment from the impacts of irresponsible mineral and energy development. Its strategy aims to improve corporate and government behaviour whilst aiming to improve the benefits to communities and the environment. The initiative for responsible mining assurance involves mining companies, downstream users of mining products such as jewellers, non-government organisations, communities and workers to put in place standards and verification of good practice in mining. In 2015 the initiative will start certifying mine sites. Global climate change is threatening the very existence of many of the islands. But sinking beneath the waves isn’t the only danger. Unless they put domestic and international resources to good use, the Pacific islands risk drowning in an energy and environmental crisis with its origins closer to home.